Don't let some insurance claims adjuster talk you into a quick settlement or mislead you into accepting a settlement offer that won't adequately meet your needs. Call us for proper legal advice. We have developed a solid reputation for aggressively protecting the rights of individuals throughout New Jersey. Mark Law Firm is a law firm based in Hawthorne, New Jersey. Our firm is dedicated to protecting the rights of the injured. Mr. Mark understands that few things are more devastating than suffering a serious personal injury as a result of someone else's negligence. With experience of over two decades, we are uniquely experienced in trial law and have the ability to handle any kind of case. We have successfully handled a wide range of cases involving significant bodily injuries to innocent accident victims caused by the negligence of others. Some examples of these cases include neck, back and spinal injuries, broken bones, facial scarring, shoulder and knee injuries. We have had great success in also handling consumer fraud cases, breach of contract cases, claims against insurance companies for breach of insurance policies other benefits policies. 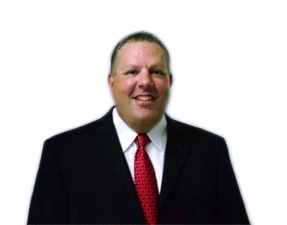 Mr. Mark also has over twenty years experience in handling Municipal Court and Criminal Cases. If you need to speak with a lawyer, contact our law office in Hawthorne, New Jersey. Call us at 973-423-9000. By having substantial experience in the area of personal injury and litigation, we have developed an in-depth understanding of the insurance industry and the tactics used to reduce claim amounts. We are prepared to immediately meet with injury victims in order to protect their rights and begin the process of investigating the causes of their accident. Mr. Mark has over two decades of trial experience - real court room experience in selecting juries and trying cases! Although it is beneficial to settle a case when favorable terms are agreed to, there are times when a trial is required. That is when you need an experienced trial attorney. Burlington and Sussex. Call us today at 973-423-9000 for a free consultation.